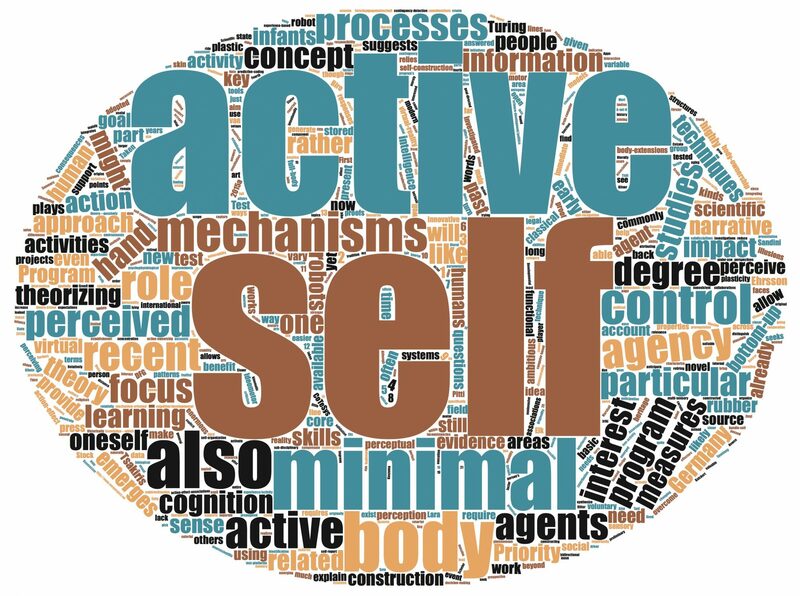 Our project proposal addresses the development of a body schema and of agency (predicting the sensory consequences of one’s own actions) in an interdisciplinary way. The interdisciplinary components are i) Theoretical/conceptual: Based on data from human studies and basic neuro-scientific findings we outline a first concrete design concept of integral mechanisms required to explain body ownership and agency on a neural systems level of brain functions. This conceptual model will be a first starting point and not a complete theory. ii) Computational Neuroscience methods: The models (parietal cortex, basal ganglia, cerebellum, brainstem) will be designed at the neural level (firing-rate, synaptic plasticity) and data obtained from the model will be compared to existing data at different levels. iii) Robotics: The models will be tested in simulation and importantly, on a humanoid robot (iCub) in a real-world scenario to mimic studies with humans. Although this project is in its core not a robotics project and rather focused on model building and understanding the biological principles, in the long run, the obtained results may lead to autonomous robots that possess the human-like neurocognitive architectures of a minimal self as an integral aspect of their behaviour.